Voila! Thanks to Ravi Kumar at Novell, I have a working script that built a working Ifolder client, with Nautilus, plugins, and a working simias server as client. Very grateful for his help! 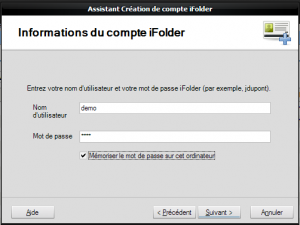 with « Request for Ifolder scripts » in the subject and I will send you copies. 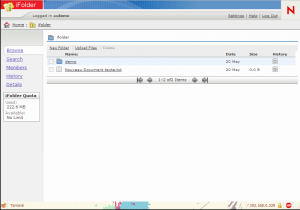 It is very exciting to have Ifolder working both on the client and server. I have a VPS that is very reasonable price and I can use it now in yet another way. A poor man’s Dropbox that I control! Very cool. Thanks to Novell and everyone who has contributed. If you need a VPS contact me for more information. Still need to do some cleaning up and debugging. I am crashing nautilus after configuring the Ifolder client to start on reboot. I disabled it and am still getting nautilus crashing. Fortunately I have another (non-nautilus) file manager installed, but now I need to decide how to determine why nautilus is crashing. Where am I going to get that info? Anybody know what is happening? Doesn’t work. Can you tell me the new path to the flaim modules? It’s a little bit older but I think it will work. Step 3 instructs us to download libflaim but actually points to simias. So I think this should read download simias from sourceforge (not hard to spot). After doing so, I’ve set the CC flags and used sed to resolve the gsoap issue. Autogen.sh –prefix=/usr runs fine but at make, several errors occur. 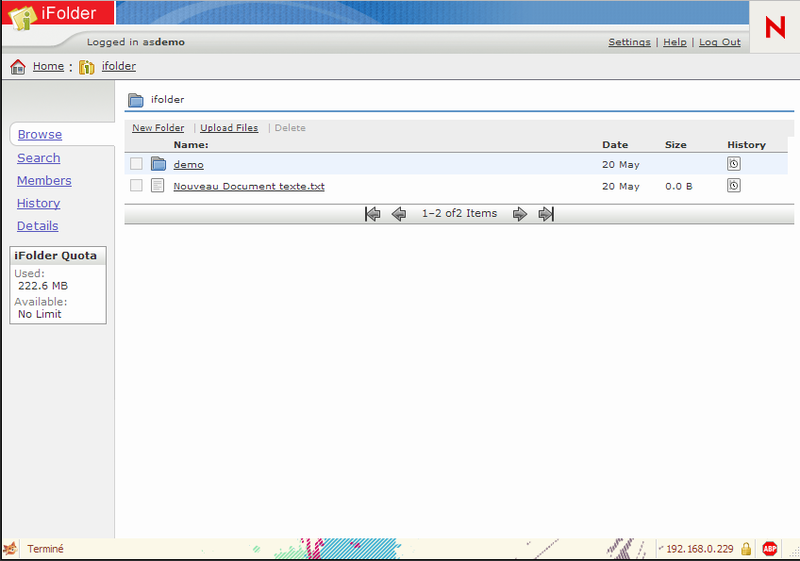 Do anybody know if you can get the ifolder client for ubuntu 10.04 ? Can somebody explain this step to me? « cd simias-1.8.3.9328.1/ » gives me an error. I expect this however as I don’t see how the simias folder is to be created by this step. Why downloading flaim source for compiling simias? I can’t find simias in this download. Can you please correct this link for simias source? I made a mistake by swapping flaim&simias. I’ve fixed it up now. i am just trying it on ubuntu 10.04 lts (desktop). >Consider adjusting the PKG_CONFIG_PATH environment > variable if youinstalled software in a non-standard prefix. anyway the first apt-get install … liblog4net-cli succeeded. There is another liblog4net package in synaptic, liblog4net-cil-dev. After I installed it installation worked fine. Do you have an Idea for this problem? Could you also add a tutorial for iFolder Server Plugins? ok, after apt-get install liblog4net-cil-dev it complied on 10.04 lts (desktop). >Unable to find the User Move plugin configuration files..
>Please make sure, ifolder-enterprise-plugins rpm is installed. 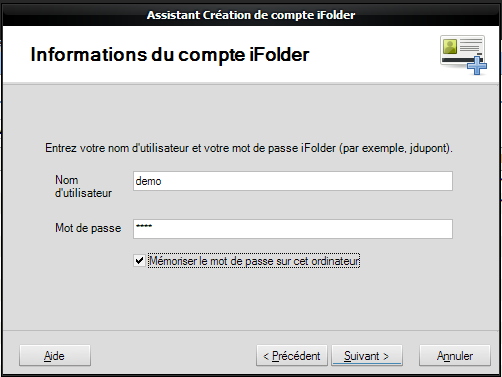 >User Move plugin is not configured..
admin app as well as ifolder app is up and running. yesterday i installed also 9.10 in a virtualbox. via the windows ifolder client (running on xp sp2). it always rejects me with « connetion refused ». access via web front-end is possible from xp machine. OK, I got it to run, but I did the LDAP connecting thing and I can’t login to the admin page. Before I start debugging ldap, is there a classic error here that anybody knows of? Got the server running thanks to the instructions in Unbuntu 10.04, compiling simias. Thanks. My problem is how to change the admin password. 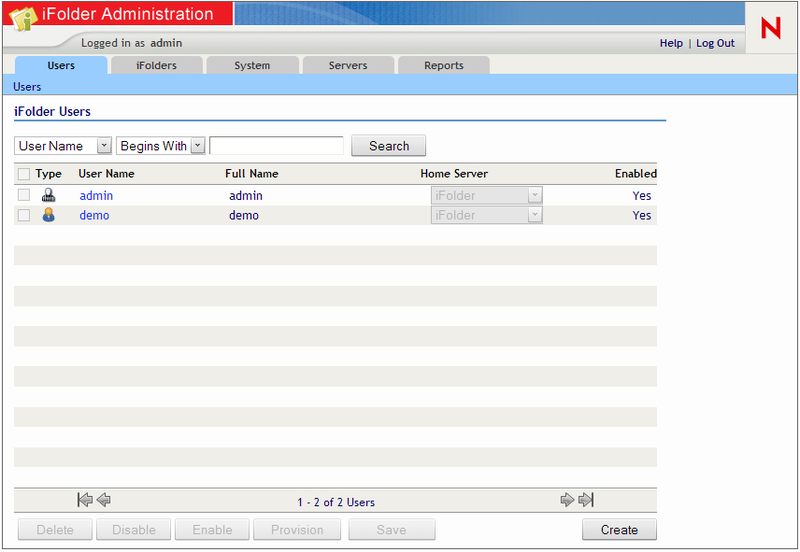 I have tried to rerun the simias-server-setup with a different one but it is still using the old one. Server works fine! Thank you for this Tutorial. Thanks a lot, password changed!. Thanks for all the info and nice tutorial. I wonder why docs seems to be a bit skimpy on iFolder. I have followed this howto in the past and it worked great. Now, due to hardware failure, I am trying to follow it again. Everything appears to work, but I cannot login to the service. I normally use LDAP, but I’ve also tried setting it up without LDAP and it does the same thing. I do get an error about an « Invalid object request », but thats all I can get from the logfile. Any thought would be appreciated. I am tryng to conect to https://myserver/admin and always i get the message « Invalid Password ». Does anibody Knows how to fix this problem? I am using de user admin and the password is correct. @Luciano : Are you sure you did configure ssl for communication between server ans simias ? Also you can check you logs in /var/logs for errors. 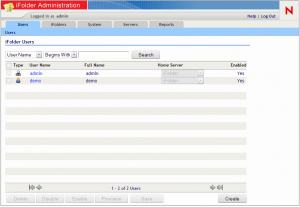 Hi folks, I am having exactly the same problem as Luciano except I select NONSSL options – after I installed and configured iFolder I am tryng to conect to http://myserver/admin but always i get the message “Invalid Password”. I recofigured the server – changed password and admin username – same story. Any ideas what else could I try? I am on step 6. When I try to run ./autogen.sh –prefix=/usr it fails and says that there is no such file or directory. I am running Ubuntu Server 10.04. Any ideas? This is really strange, are you sure that you are in the good directory and that your are not missing one of the build deps ? Posting the full error message would help. Thank you for your help! This a great tutorial! @Cory : This means you have another installer open, e.g. synaptic or something like that. Close all programs and retry. The SSL conection is OK. Exception Message: System.Net.WebException: Error writing request. System.Web.Services.Protocols.SoapException: System.Net.WebException: Error writing request. @Luciano : Have you changed the Public and/or the PrivateAddress in your Simias.config? Are they different? @4tytwo : They are the same, https://myserver.com/admin. Does anyone see any processes that could be the culprit? Thank you! @Luciano : Sorry, I asked for the wrong config. But now I’ve found the URL where you might find some help. It seems they handle the same error like you. @Cory : What gives ps -e (just the last 15 entries if more)? @ Cory : Forget my previous comment, I didn’t look well enough. If you didn’t start any installation process in another cli then the dpkg process must be your system update. Even if kill sends a soft signal, it’s not the best idea to stop the update. With « ps -e |grep dpkg » you can check for the process which locks your apt-get. Wait till it disappears and try your apt-get again. During the install of mod_mono I chose NO for the following (the default is no). So, i installed again, with YES. Everything is working good now. Tks anyway. Thanks to these directions, and the comments of the users, I was able to get iFolder up and running on Ubuntu 10.10 Server within just a few hours. There were a few gotchas, but they were all covered by the comments. Hi, i’m really having a hard time getting into the admin web. in the log i have the System.ObjectDisposedException error. How to troubleshoot this? Am running this on a Hardy Server (openvz box). I know I had this working, as I’ve got 2 users using iFolderweb and the iFolder client on Ubuntu machines. Thank you very much for providing us such a wonderful guide. I have followed the steps and believed that Simias server (and iFolder i hope) has been installed properly. I managed to get to the web admin login page. 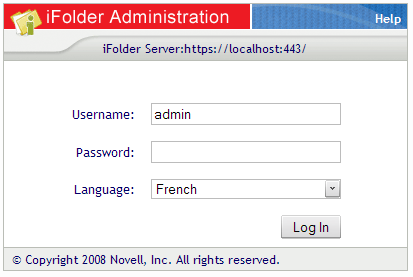 But, when I tried to login as admin with password novell, it said « Unable to connect to the iFolder server. ». I wonder why please. Much appreciated if you could show me the light of this one please. Thanks!